Winner winner….Chicken & Avocado Pesto Salad dinner…that’s how the saying goes, right? If not it should because this salad is where it’s at. Easy to make with shortcuts available depending on how much you want to make from scratch. Low carb/keto friendly with loads of healthy fats from the avocado, pine nuts & pesto sauce. Filling! Enjoy it as a side salad with a main meal or go for a larger helping for a light lunch. This salad is incredibly easy to throw together. All you need is a good blender or food processor and about 10 minutes of your time – maybe a little more time if you need to prep the shredded chicken as well. That being said, even with the chicken this all comes together in under 30 minutes. Making your pesto is super easy. 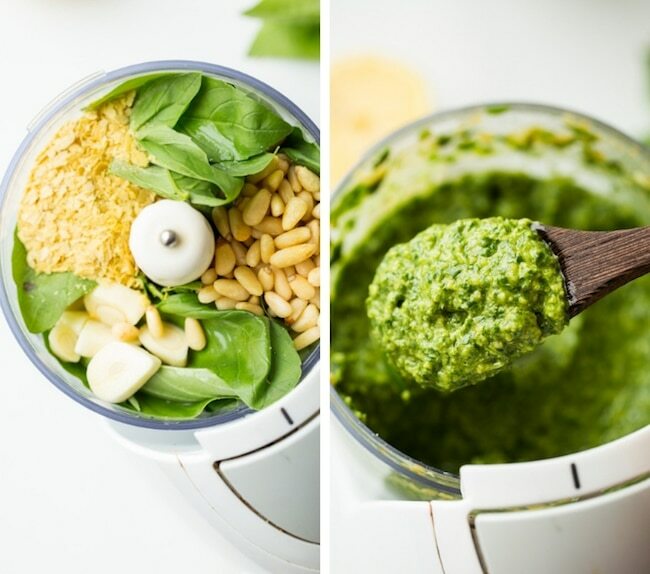 Just toss your ingredients into a blender/food processor and blitz until you get your desired pesto consistency. 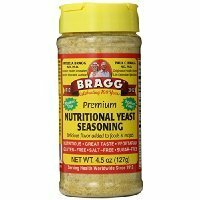 Taste and season with a little extra salt if needed and then just keep tasting because it’s just so good. Once your pesto is ready to go it’s time to throw it all together. 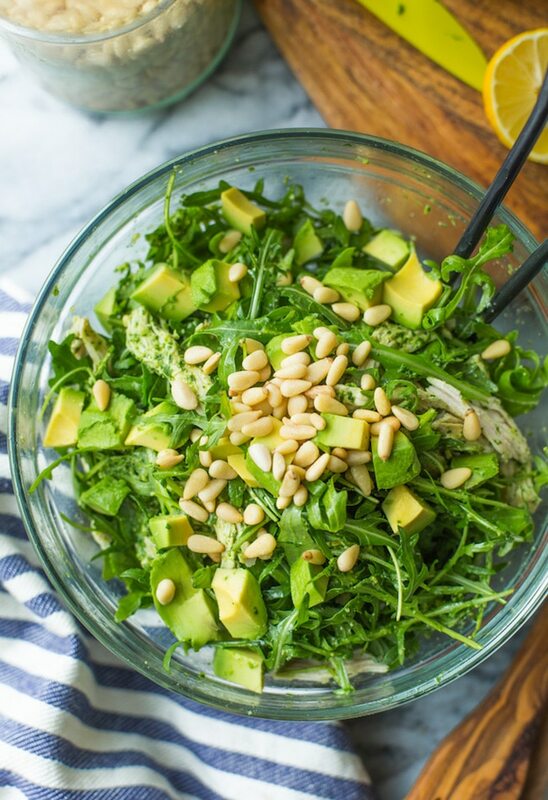 Start by adding the arugula, chicken and pesto to a large salad bowl and toss well to combine. You really want to mix everything together throughly so that the greens and the chicken get fully coated in pesto. If you add the avocados too soon they might get a little too smushed before you’re ready to enjoy. When you’re ready top with avocado and pine nuts and that’s it! You can use any type of pesto – it doesn’t have to be the one listed here. I have a kale pesto & a low FODMAP pesto if you want to try something different. If you do make your own homemade pesto feel free to play around with the types of nuts/greens. 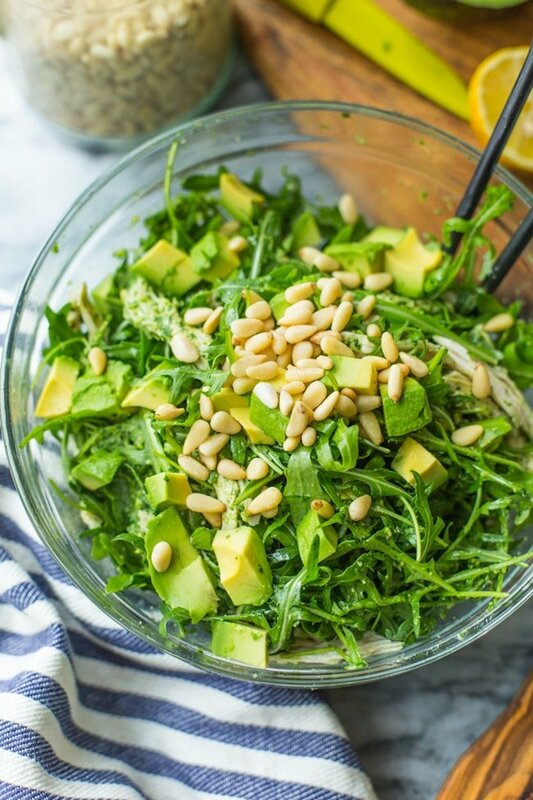 You can use walnuts, pumpkin seeds, almonds, etc in place of the pine nuts and you can sub half of the basil for another type of leafy green (think spinach, arugula, kale etc). Leftover roast chicken or store bought rotisserie chicken can be used for faster/easier prep. This makes for a great lunch to take to work/school. If you do make a huge salad to enjoy later, wait to add the avocado until just before serving so it doesn’t go brown and sad before you have a chance to enjoy it. Just keep an avocado half wrapped up and cut just beforehand. 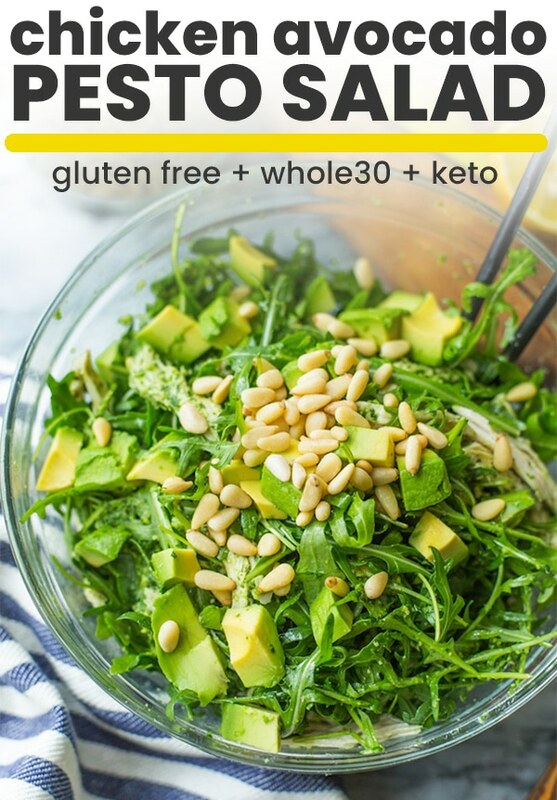 Don’t forget to #asaucykitchen on instagram if you try this Chicken & Avocado Pesto Salad! We love seeing what you make! You can also post your pictures to my facebook page! Add all of the pesto ingredients to the blender and blitz until smooth. Taste and season with more salt if needed. 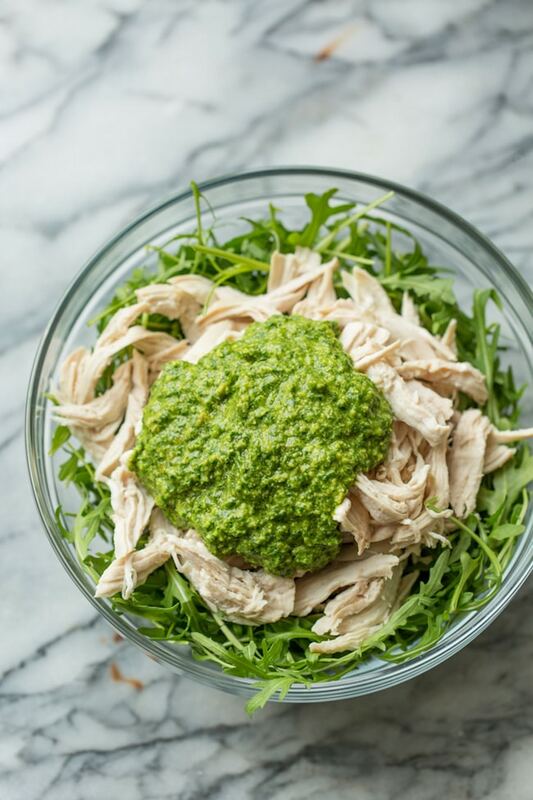 Add the arugula, chicken and pesto to a large salad bowl and toss to combine. Make sure to coat everything well in pesto. Add the pine nuts and avocado and gently toss once more to mix. Sprinkle some freshly ground black pepper over the top, serve and enjoy! Feel free to your favourite pesto in this recipe! Nutrition info is a rough estimate for 1 1/2 cups salad.